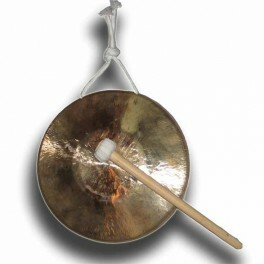 Bronze Lite weight Gong 9.5" Dia - Bok Lei Po Trading Inc. Bronze Gong-ready to star your lion dancing, kung fu demonstration, hit this loud bronze gong and you will get all audiences attention to watch you performance. the weight of it is 3 Lbs. 9.5" Dia. Wooden gong stick comes with it.